Lightbridge Academy offers Back-up Care on a space-available basis. Contact the center nearest you for more information. Creating a one-of-a-kind educational experience for the children we care for and the families who cherish them. Our Newest Solution for Breastfeeding Mothers. Illuminating young minds while helping everyone in our Circle of Care along life's journey. Transform the lives of all families by treating them as part of our own. 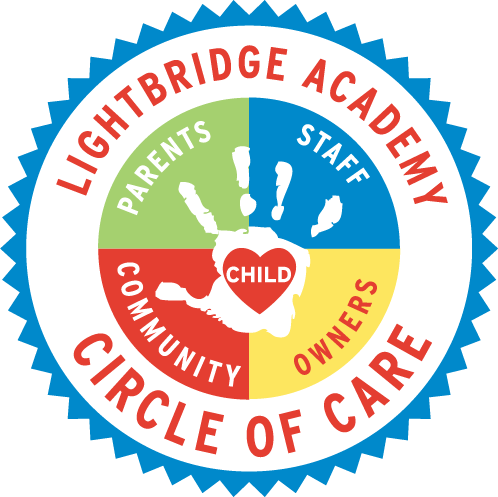 Lightbridge Academy creates genuine, caring relationships with every family member, ensuring the educational success and well-being of each child. Thank you for giving us the opportunity to partner with you through your child’s precious years of growth and development, and delighting you every day with the innovative ways in which we bring out the best in children. Enter your zip code to find the center nearest you and to let the journey begin! What is your ideal family vacation? The next generation of child care franchises - an investment that grows.